Our Honey is Pure disease free and definitely no chemical added. It may take sometime for a shipment to arrive to you but the quality and flavour is regarded as one of the best in the world. There are 6 Aparist who collect from their individual hives the Honey. some loyal members take time to scrape of the propolis from the frames and edges of the hive supers and turn this into Propolis tincture. PIPCO is world known for its Honey, Propolis & soap. The small club have been running now for nearly 20 years. PIPCO is run by a Manager, Treasurer, Dispatch and its loyal members which is at present 21 members. We are a small group that pack our produce every 3 months. This is ship to our customers through the postal service. 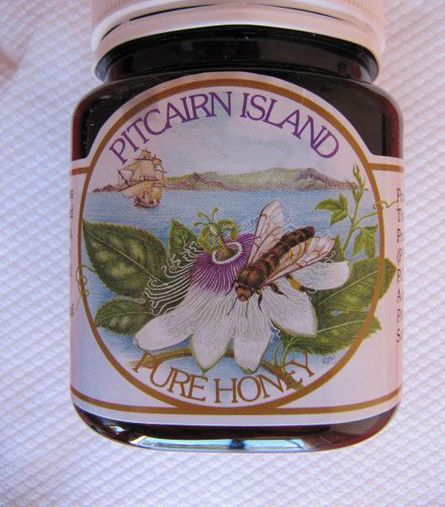 Not only are you helping PIPCO's economy but also Pitcairn Island revenue. Thank You.